EDGE Games ("EDGE" / "THE EDGE") are corporate and brand names that have been used by various entities since first used by Softek International Ltd in London in 1984. However, "EDGE" (or EDGE Games) is not a U.S. corporation founded in 1990, as some Internet sources falsely state it is. A veteran independent game developer and publisher, EDGE has its origins as one of Britain's longest established computer game publishers. EDGE now operates jointly between Pasadena, California and London, England. EDGE's games are available everywhere worldwide that games are sold. EDGE is a registered developer for PS3®, XBOX360®, Wii® and Apple® iOS platforms in addition to a number of other computer, videogame and mobile device platforms. Most recently, EDGE games have been available for Apple's iPhone 6S as part of the Edge 6S range and for the Recreated Sinclair ZX Spectrum launched by Elite Systems in Fall 2015. 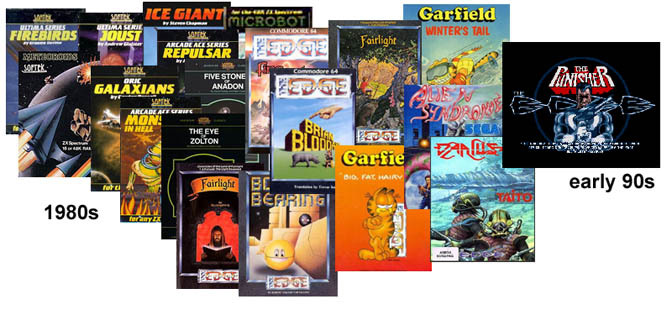 EDGE Games was formed in 1980; first named "Softek Software," the EDGE/THE EDGE and EDGE Games brands were adopted in 1984. Also in 1984, EDGE opened its first offices in California. During the 1980s EDGE/THE EDGE was run primarily out of its Covent Garden, London offices. From 1990 onwards operations have been split between the Pasadena, California and London offices. Worldwide rights ownership and operations are split between various EDGE corporations in the U.S. and Europe. 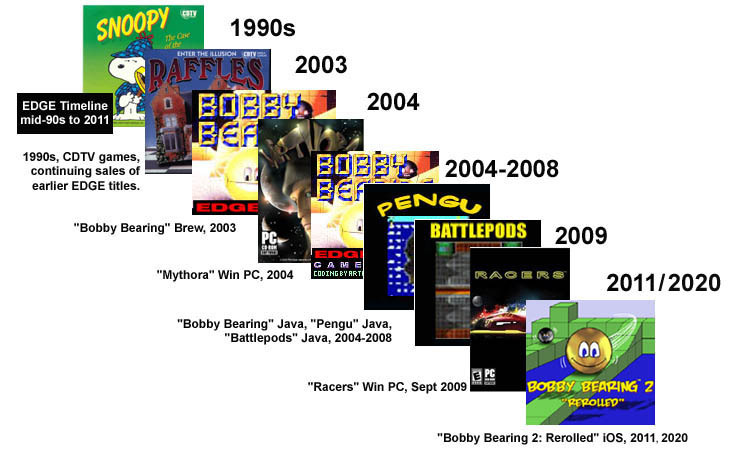 BOBBY BEARING, EDGE, THE EDGE, EDGE GAMES, EDGEGAMERS, GAMER'S EDGE are trademarks of EDGE/THE EDGE. (c) 1984, 2003, 2016.